SLOGANS ON GLOBAL WARMING:- Global warming is a man-made disaster working like a slow poison and ruining the natural environment gradually. It is affecting the whole planet very badly and disturbing the natural processes. It has resulted in increasing sea level, increasing atmospheric temperature, melting glaciers, changing the climate, the occurrence of flood and tsunami, declining ozone layer, and many more. Bad effects of global warming are increasing day by day because of the increasing level of greenhouse gases in the atmosphere due to the increasing humanitarian needs of electricity, use of fossil fuels, deforestation, industrialization, etc. 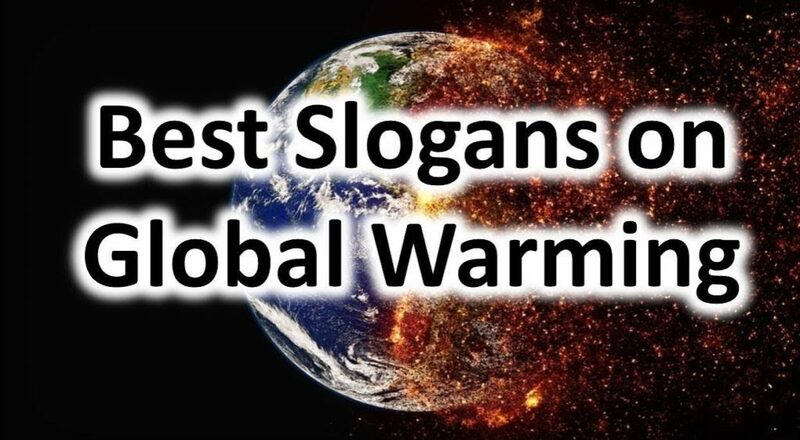 We have provided below some effective and encouraging slogans on global warming which you can use to gain the attention of the people during any campaign or related event celebration in school, college or another place. Our planet is in danger of global warming, do something. Try to reduce global warming or be ready to fry in future. Reduce greenhouse gases emission to reduce global warming. Solution to global warming is reducing pollution and tree plantation. Global warming is a result of pollution, still, we are not conscious. Don’t make earth garbage; save it from global warming. Global warming is a clear warning to us, stop polluting the earth. Global warming is everywhere which leaving us no place anywhere. Stop cutting trees and reduce global warming. Cool the rising atmospheric temperature, just plant more trees. Global warming is burning the earth! Where do we live? What we will give to our future generations, global warming affected earth! Be green to be free from global warming. Tree plantation is a solution to pollution and global warming. Atmospheric temperature is rising faster; a global warming disaster. Global warming is warning us through sea level rising and icecaps melting. Think green, think global to defeat global warming. Beat the rising heat to be free of global warming. Don’t use fossil fuels to be saved from being a fossil in the future. Start action to get a positive reaction of reduced global warming. Global warming, a manmade warning! Destroy global warming before it destroys you. We have only one earth; don’t let it burst a day! Cool the earth with greenery and save it from the heat of global warming. Our globe is gradually warming; stop cutting forests and let it cool. If you want to stay, there is the only way to stop warming the globe. Now take a decision to stop CO2 emission. It should be our vision to follow global warming solution. Reducing the need and reusing the things can help us to win over global warming. Save this planet, there is nothing which you cannot! Take some action to get a little reduction in heat. Don’t overheat the planet, it will get burst. Save the earth from global warming and many animals’ habitat. Practice natural lifestyle to save earth from global warming disaster. Conserve forest, conserve water and conserve energy to reduce the effect of global warming. Global warming is heating the earth but why we do not beat it. Global warming is a result of greenhouse gases emitted by us! It’s time to teach everyone to beat global warming. Don’t waste time and invest in planting trees. Global warming is hot, let it cool! Stop global warming to stop ice melting. Stop global warming to stop sea level rising. Reduce the need and reduce the atmospheric temperature. Be habitual to inhale CO2; if not, plant more trees and reduce overheating. Follow rainwater harvesting techniques to reduce some heat of the earth. Don’t uncover the earth from the sheet of greenery; otherwise, it will get so hot. Be aware of and feel the effects of global warming; pledge to do something positive. Global warming is burning the earth of today and the future of tomorrow. Give yourself a chance; save the earth from global warming for tomorrow. What do you want: Global Warming or Global Greening! Global warming is warning us that it is not good for farming. 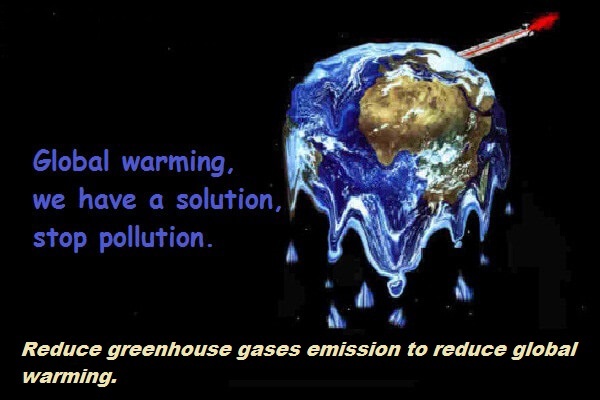 No pollution is the only solution to global warming. Reduce global warming and some animals from being extinct. Global warming is declining the ozone layer; let it stop. Ozone layer holes are passing UV rays to us; let it stop. 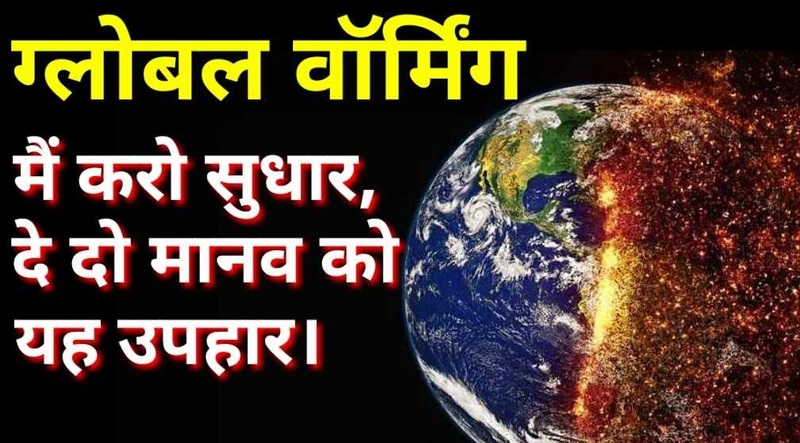 If earth will burst where we will get birth; reduce heat and save the earth. Energy conservation is the true solution to global warming. Reduce the heat and reduce the chance of flood. Reduce electricity use to get relief from global warming. Celebrate earth day and know why it is necessary to save it from global warming. Nurture nature and save the earth from global warming. Earth is our living world, save it from overheating. Reduce carbon footprint and prevent climate change. Global warming is warning us to stop warming the earth. Keep forests green and oceans blue to reduce the effect of global warming. Our earth is burning; if it will be burn completely, never come back.